If you are looking for some gifts for the iphone lover for the coming holiday season, this post will bring you some ideas of the latest iphone gadgets and accessories. 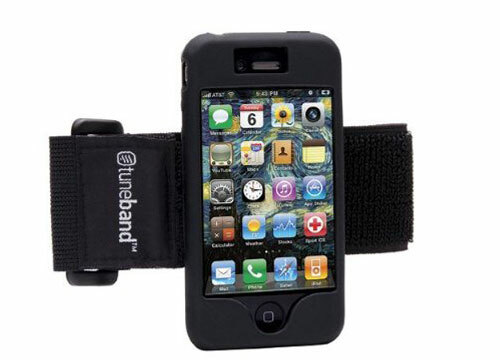 From case to stand, from sound to earphone, from gloves to armband, there are so many options. The gloves seems really useful in winter time… and iphone horn just way too cute…Hope you enjoy. The Y 01 with its holster-like look was designed for your everyday urban life and offers a variety of storage solutions for your iPhone or iPod, credit cards, cash, keys, cigarettes, ball pen and ear phones. 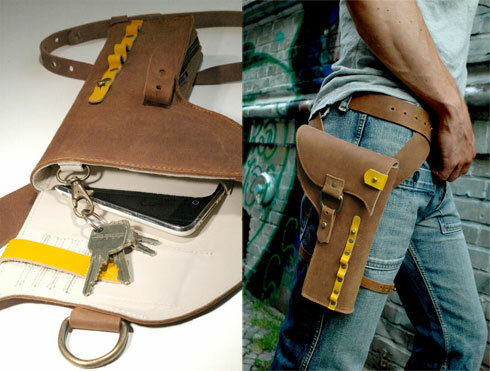 No more nights on the town with bulging pockets yet still have everything you need at your fingertips-even on the run! Our masterpiece is ethical,vegetally tanned&handmade from German cowhides. 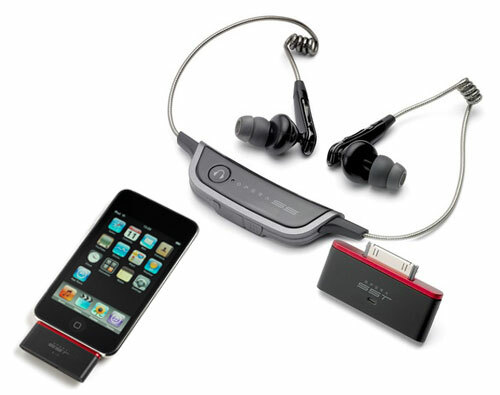 The built-in speaker in the iPhone 4 is fine, but it’s not powerful enough to really share music with a group of people. 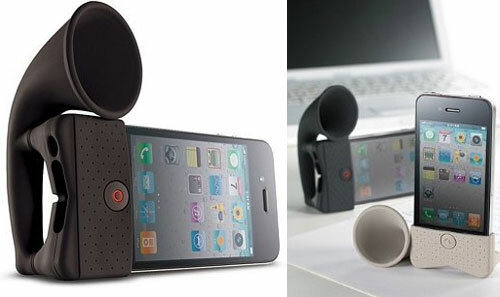 iPhone Horn Stand aims to make the speaker a bit more powerful without adding to the drain on the phone’s battery. It uses its shape to amplify the sound without any power necessary. 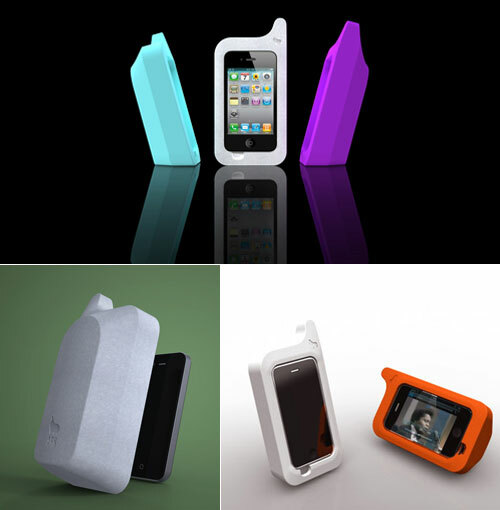 It can be used to stand the iPhone up either horizontally or vertically. 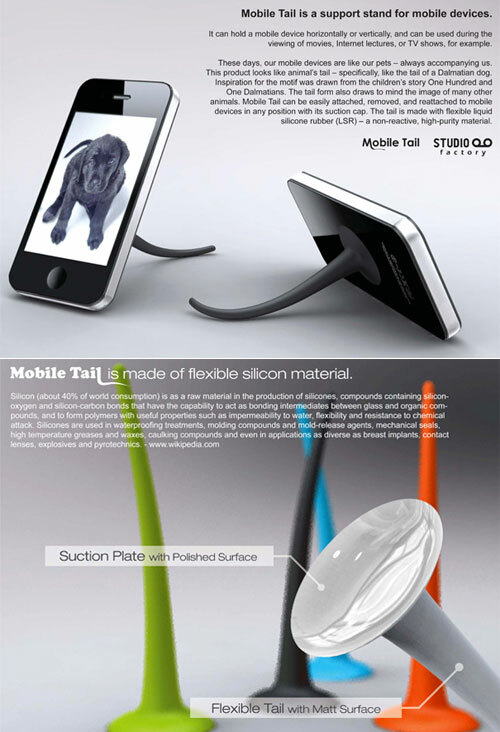 The cute little Mobile Tail instantly transforms your phone to a viewing display. It’s crafted from flexible liquid silicone rubber (LSR) – a non-reactive, high-purity material and attaches to any device via the suction cup. Too bad it is still a concept now. Counter to the current trend of downsizing electronics, Ark’s Hippo iPhone case comes in handy for those accident prone, looking for a combo case/stand, or who spend extended periods chatting on their cell. Apple’s new iPhone 4 has exceeded the expectations of many, yet its 5-megapixed camera is outdated compared to some of its competitors like HTC’s Evo 4G, which has an 8-megapixel camera. 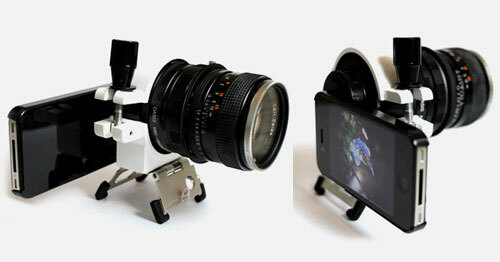 A recent prototype around the net shows how a distinct character created a special tripod to attach a DSLR lens to the iPhone 4. A creation like this can certainly help a traveling photographer who is not keen to carrying equipment around or interest one who wants to enter the world of photography. Fleece Freehands are soft, lightweight and comfortable. Grippy material on the palms and fingers will keep your phone from flying out of your hands. 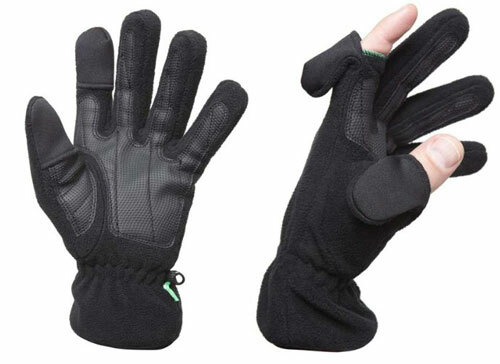 All Freehands have fully shirred elastic wrists to keep cold air from getting in and a plastic hook and loop to hold the gloves together when you put them away or to attach to a jacket zipper. 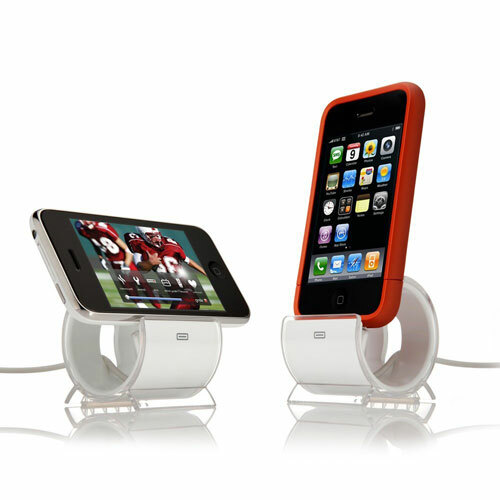 Kensington nightstand charger transforms your iPhone or iPod Touch into a bedside clock and weather center. 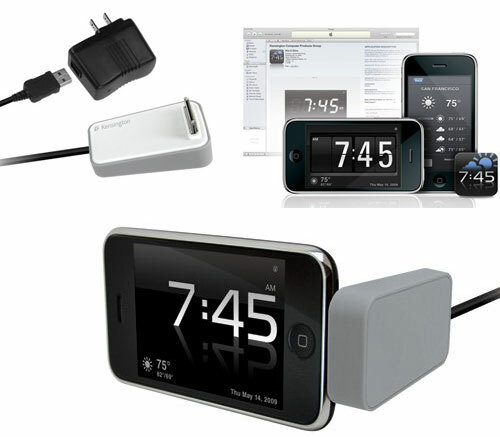 The charger holds your iPhone/iPod in landscape mode to clearly display time and weather. It comes with the Rise & Shine app (available for free at the app store) that displays the time and weather alarm clock style. 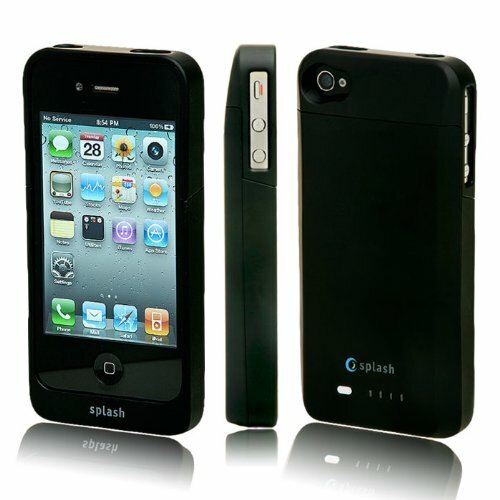 The O2 Lite will give you the freedom to use your iPhone 4 without the daily worry of running out of battery life! Enjoy your iPhone 4 for voice, music, video, face-time, games and business applications with extended, stable, and rechargeable power. You can now experience up to two days or more of uninterrupted iPhone power, depending on usage. The O2 Lite is made of with a unique soft touch material which gives it a classy look, and keeps your iPhone 4 looking good. The Opera S5+ headphones for iPhone and iPad are the ideal accessory for all music lovers. Whether you are in the gym or just on the move, untangle yourself and go wire-free.